Stop cavities in their tracks. When your tooth’s structure is in jeopardy because of a cavity, tooth-colored fillings are needed to restore your tooth’s function. By sealing off the cavity, you’re preventing the tooth decay from spreading and causing more serious damage to your smile’s beauty and function, which could lead to more expensive treatments. Why Tooth-Colored Fillings Over Metal Fillings? Our fillings are tooth-colored, meaning we’ll use a composite resin material to match your tooth’s shade and blend with your surrounding teeth. The filling will do all the hard work to protect your smile, but no one has to know. The material used for tooth-colored fillings is more durable than metal fillings. Metal fillings can break, warp, and crack over time, which destroys the integrity of the tooth. Our fillings are sealed and bonded to the tooth, keeping it intact. The materials in tooth-colored fillings are safe and do not pose a health risk. However, metal fillings are known as mercury fillings. There are concerns about the possible dangers of the use of mercury that are found in these fillings. Metal-free fillings: A puzzle piece in a comprehensive plan to get you healthy. 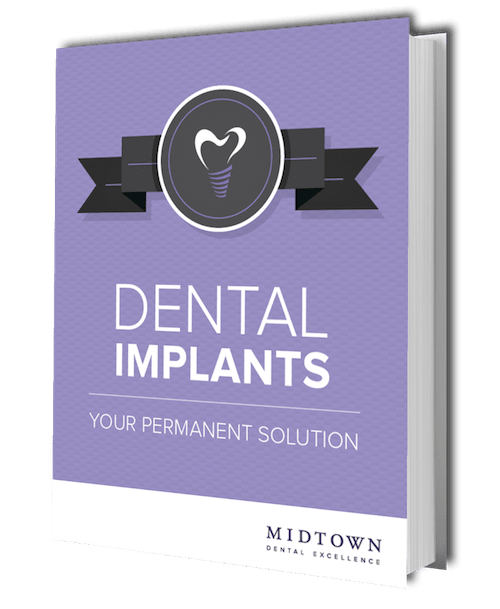 Midtown Dental Excellence isn’t a “drill and fill” practice. 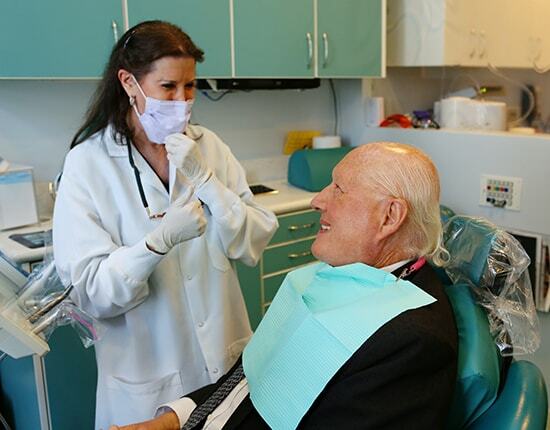 As fellow New Yorkers, we’re committed to your health and well-being by combining the latest dental equipment, innovative techniques, and collaborative care to give you the best dental care available. Our specialists have the knowledge and expertise to produce high-quality fillings and provide the highest quality dental care to keep you smiling for years to come. We invite you to schedule your first appointment with us, and you’ll see firsthand our dedication to get you healthy. Have Questions About Tooth-Colored Fillings? How long does it take to get a dental filling? How many fillings do you need? During your comprehensive exam with us, we’ll discuss these factors with and tell you how long it will take to get your smile healthy. The reason it takes a little longer to receive a tooth-colored filling is the composite resin material is painted on your tooth and then hardened with a unique light. We do ask patients to dedicate at least an hour for a filling. With local anesthesia, getting a dental filling shouldn’t hurt. Our experts will gently numb the area before starting the procedure. If you’re nervous about the needle, we can also numb the injection site before injecting the anesthesia. After getting your dental filling, you may experience sensitivity; however, it’s quite normal and should go away quickly. Ask us about our amenities to make the treatment even more comfortable for you. How many fillings can be done at once? In reality, there isn’t a limit to how many fillings our dentists can do at once. For example, if you have multiple cavities in one area, we’re able to get it all done at once. How long can you be at the office? Can you leave your mouth open for an extended period? How much anesthetic can we administer safely? No matter how many fillings you need, we’re confident our team can strategize a plan fitting your needs. Can I eat after getting a filling? Absolutely! Tooth-colored fillings are very strong, allowing you to eat right after the procedure. We do recommend avoiding crunchy, hard, or sticky foods right after the procedure. It’s also a good idea to resume eating when the local anesthetic wears off because it can be difficult to eat when lips and mouth are numb. Rest easy knowing our professional team is committed to your health and well-being! Schedule your appointment with Midtown Dental Excellence today.